This discussion meeting – the first-ever linking the Royal Society and the German National Academy of Sciences Leopoldina – will confirm that the Periodic Table not only represents the best way of mastering the fascinating and diverse science and technology of the chemical elements, but also continues to inspire new science, thinking and avenues of multidisciplinary research through 'The new chemistry of the elements'. The Periodic Table of the chemical elements continues to be the most fundamental natural system of classification ever devised. Biographies of the organisers and speakers are available below, and you can download the draft programme. Recorded audio of the presentations will be available on this page after the event and the papers will be published in a future issue of Philosophical Transactions A. The lecture will give a review of the history of the development of the periodic table starting with Dalton’s revival of the atomic theory and will move on to Gay-Lussac and Humbolt’s discovery of the law of combining gas volumes and how Dalton and others responded to this challenge. It will discuss two key ideas, namely triads of elements and Prout’s hypothesis that led to some early ideas concerning the relationship between the numerical properties of different elements. It will be argued that following Cannizzaro’s clarification of the notion of atomic weight the periodic system was independently discovered six times over a period of seven years. The historical survey will be extended into the 20th century to consider contributions from Moseley, quantum theory and quantum mechanics and most recently from special relativity. If time permits I will also touch on the question of the placement of certain elements (H, He, La, Ac, Lu, Lr) and the question of whether it is meaningful to seek an optimal periodic table. References: E.R. Scerri, The Periodic Table, Its Story and Its Significance, OUP, 2007; E.R. Scerri, A Very Short Introduction to the Periodic Table, OUP, 2013. 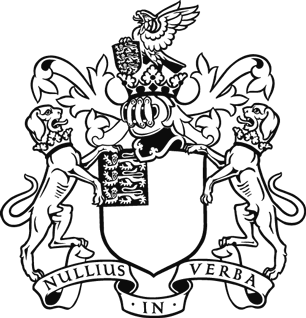 Eric Scerri was educated at the Universities of London, Cambridge and Southampton. He then obtained a PhD in the History & Philosophy of Chemistry from King’s College, London. After postdoctoral fellowships at the London School of Economics and Caltech he taught chemistry at Bradley University and Purdue University, for three years, before becoming a lecturer at UCLA in the fall of 2000, where he has taught over 20,000 chemistry undergraduates, as well as courses in history & philosophy of science. He is the author of three award-winning books with Oxford University Press, namely The Periodic Table, Its Story and Its Significance, A Very Short Introduction to the Periodic Table and most recently A Tale of Seven Elements that was named among the top 12 science books of the year 2013 by New Scientist magazine. In addition Scerri has published two books of his own collected research papers on the history & philosophy of chemistry and as well as editing three further books on the philosophy of chemistry. His books have been translated into fifteen languages, and he is currently working on a new book about the rare earth elements. Scerri’s research ranges from the manner in which electronic structure and atomic physics is presented in chemistry teaching to more philosophical topics such as the extent to which chemistry is reduced to quantum mechanics, further investigations into the historical and philosophical significance of the of the periodic table and whether there exists an optimal periodic table. He is the founder and editor-in-chief of the Springer journal, Foundations of Chemistry. Scerri has appeared on radio and television and frequently lectures in countries all round the world. He has published over 150 articles in professional journals as well as more popular magazines including Scientific American, American Scientist, New Scientist, Chemistry World etc. Friedrich Hensel has made many contributions to research in High Temperature-High Pressure Chemistry. The majority of these were made at the Institute of Physical Chemistry of the Philipps-University of Marburg where he is Professor of Physical Chemistry. He has made major contributions to different fields including nucleation and wetting phenomena ,liquid ionic alloys and research into the properties of small metal- and semiconductor clusters , but is best known for his work on fluid metals and semiconductors in the liquid-vapour critical region which greatly enhanced the understanding of metal-insulator transitions in non crystalline systems. 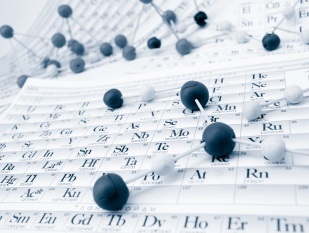 Today, we “know” 26 man-made chemical elements beyond uranium; these are 22% of all elements. Fifteen elements, the ones from atomic number 104 (rutherfordium) to 118 are regularly termed superheavy elements (SHEs). Their one-atom-at-a-time synthesis in heavy-ion induced nuclear reactions and their detection and identification in nuclear decay spectroscopy does not only pose enormous challenges it also opens up hitherto unseen possibilities for “new chemistry”. SHEs do not only constitute a new class of elements from a nuclear perspective but also from a chemical point of view. According to Seaborg’s actinide concept, presumably the most dramatic modern revision of Mendeleev’s Periodic Table, SHEs are identical with transactinide elements. They provide unique and exciting opportunities to get insights into the influence of strong relativistic effects on the atomic electrons and to probe “relativistically” influenced chemical properties and the architecture of the Periodic Table at its far reach. In addition, they establish a test bench to challenge the validity and predictive power of modern fully-relativistic quantum chemical models. Matthias Schädel received his doctoral degree (in 1979) from the University of Mainz (supervisor G. Herrmann) working on nuclear reaction studies at the Gesellschaft für Schwerionenforschung (GSI) in Darmstadt where he also spent the majority of his research career. He developed and applied rapid automated techniques for chemical and nuclear studies of the heaviest man-made elements. These techniques, recently combined with recoil separators, and studies of superheavy elements remained in the focus of his scientific career. As a guest scientist he worked with Ken Hulet and with Glenn T. Seaborg at the National Laboratories in Livermore and Berkeley. He is the editor of the textbook The Chemistry of Superheavy Elements. Since his retirement at GSI, where he was head of the Nuclear Chemistry Department, he serves as the group leader of the Superheavy Element Chemistry Group at the Advanced Science Research Center of the Japan Atomic Energy Agency. Alkali metal compounds have been known since antiquity. Until 1907, when Sir Humphrey Davy prepared shiny, reactive potassium and sodium metals, only the +1 oxidation state was present. Two years later (in unpublished notes) he showed that they formed blue and gold solutions with ammonia. This was rediscovered and published by W. Weyl in 1864. The identification of solvated electrons in these solutions by Charles Krause in 1907 set off a century of research on alkali metal solutions, followed by pulse-radiolysis studies of transient solvated electrons in a wide variety of polar and non-polar solvents. The 0 and +1 oxidation states of alkali metals in compounds were exclusive until 1968 when evidence for alkali metal anions in amine solutions was obtained. The isolation and structure of a crystalline salt of Na- in 1981, followed by over 30 other alkalides with Na-, K-, Rb- and Cs- anions, firmly established the -1 oxidation state of alkali metals. An interesting feature is that a single compound can contain both M+ and M-. In 1986 and later, a number of crystalline alkali metal electrides were synthesized, in which electrons occupy the same anionic sites as isostructural alkalides and halides. The final surprise was verified in 2009, when it was demonstrated that sodium metal becomes a transparent insulator at very high pressures, with a structure that suggests the formation of an inorganic electride! The role of electrons as genuine anions prompts the question, “Where should the electron be placed in the periodic table?”! Education: A.B., 1949, Gustavus Adolphus College (Chem. & Math. ); Ph.D., 1953, Iowa State University (Physical Chemistry with F. H. Spedding). Professional Employment: Michigan State University, 1953 to 1994 (Physical and Inorganic Chemistry and Solid-State Chemistry); Chairperson, 1986-1990; Emeritus, 1994- present. Research Sabbaticals: NSF Science Faculty Fellow, 1961-62, with Manfred Eigen; Visiting Scientist ,1968-69, with Leon Dorfman; Guggenheim Fellow and Fulbright Research Scientist, 1975-76, with Jean-Marie Lehn; Visiting Scientist, Bell Laboratories,1982-83, with D. W. Murphy; Guggenheim Fellow and Visiting Scientist, Cornell 1990-91, with F. J. DiSalvo. Professional Societies (partial list): U. S. National Academy of Sciences; American Academy of Arts andSciences; AmericanChemical Society; American Physical Society; Materials Research Society. Life and the chemical environment are united in an escapable feedback cycle. Study of the availability of inorganic ions through time, may provide the most insight to this evolving system since metals are common to both, being present in the natural environment and employed as the catalytic centres of metalloenzymes. The conundrum of evolution is that life continually, and inadvertently, catalysed its own chemical challenges. But ultimately this drove life to greater complexity. The most revolutionary time in life’s history, was the advent and proliferation of oxygenic photosynthesis which forced the environment towards a lower carbon, but highly oxic ocean and atmosphere. From simple chemical considerations, we demonstrate that the evolving trace metal availability of the environment is paralleled by geological observations and the chemistry of life, during the gradual oxygenation of the planet. We suggest that evolution was chemically constrained, and that average changes in availability of particularly Fe, Zn and Cu, were critical for the systematic development of organisms. Ros Rickaby holds a Degree in Natural Sciences from the University of Cambridge. She completed her PhD in Palaeoceanography under the supervision of Prof. Harry Elderfield also at the University of Cambridge in 1999. She them worked as a research fellow with Professor Dan Schrag at Harvard University, Cambridge USA. Finally in 2002 she extricated herself from Cambridge and took up a Lectureship in the Department of Earth Sciences at the University of Oxford, where she was made Professor in 2010. Her current research involves multiple threads woven around the interactions of life with the chemistry of the environment. She has evolved from using chemical signatures within biologically generated carbonates to reconstruct the evolution of the past Earth environment, to exploring how the environment has influenced the physiology and adaptation of organisms, particularly the processes of biomineralisation and photosynthesis. Platinum compounds are a mainstay of cancer chemotherapy, with over 50% of patients receiving platinum. But there is a great need for improvement. Major features of the cisplatin mechanism of action involve cancer cell entry, formation mainly of intrastrand cross-links that bend and unwind nuclear DNA, transcription inhibition, and induction of cell death programs while evading repair. Recently we discovered that platinum cross-link formation is not essential for activity. Monofunctional Pt compounds like phenanthriplatin, which make only a single bond to DNA nucleobases, can be far more active and effective against a different range of tumor types. Without a cross-link-induced bend, monofunctional complexes can be accommodated in the major groove of DNA. Their biological mechanism of action is similar to that of cisplatin. These discoveries opened the door to a large family of heavy metal-based drug candidates, including those of Os and Re, as will be described. Stephen J. Lippard is Arthur Amos Noyes Professor of Chemistry at the Massachusetts Institute of Technology. His research activities span the fields of inorganic chemistry, biological chemistry, and neurochemistry. Included are studies to understand and improve platinum anticancer drugs, the synthesis of dimetallic complexes as models for non-heme iron metalloenzymes, structural and mechanistic investigations of methane monooxygenase and related bacterial multicomponent monooxygenases, and inorganic neurotransmitters, especially nitric oxide and zinc. His honors include the National Medal of Science, the Priestley Medal, highest award bestowed by the American Chemical Society, the Pauling Medal, and election to the U. S. National Academy of Sciences, the National Institute of Medicine, the American Academy of Arts and Sciences, the Royal Irish Academy, and the German National Academy of Sciences Leopoldina. He holds several honorary degrees. Lippard is an avid harpsichordist and early morning jogger. 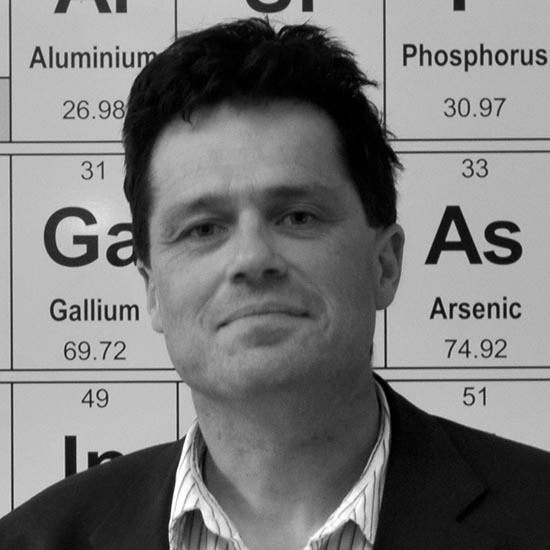 Nicholas Long is the Sir Edward Frankland BP Professor of Inorganic Chemistry at Imperial College London. He possesses wide-ranging experience and expertise in synthetic inorganic and organometallic chemistry and his novel compounds have found applications within catalysis, materials science and biomedical imaging. He has published 165 scientific papers, won the 2006 RSC Prize for Organometallic Chemistry, was a Leverhulme Trust Research Fellow in 2010 and became Fellow of the Royal Society of Chemistry in 2011. 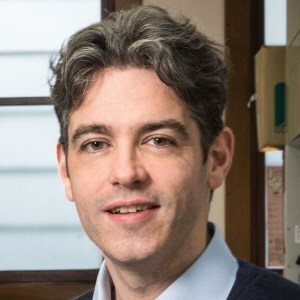 In 2014, Long became Deputy-Director of the new King’s/Imperial EPSRC Centre for Doctoral Training in Medical Imaging (www.imagingcdt.com) and in 2015, co-edited the textbook ‘The Chemistry of Molecular Imaging’ (Wiley). Recent biomedical imaging-related research highlights include (i) design of diabetes sensor – detecting zinc via MRI and optical imaging signalling, (ii) micro-reactors for metal-mediated radiolabelling in PET and (iii) ‘smart’ self-assembling iron oxide nanoparticles for cancer imaging. Biological electron transfers often occur between metal-containing cofactors that are separated by very large molecular distances. Understanding the underlying physics and chemistry of these electron transfer processes is the goal of much of the work in my laboratory. Employing laser flash-quench triggering methods, we have shown that 2-nm, coupling-limited Fe(II) to Ru(III) and Cu(I) to Ru(III) electron tunneling in Ru-modified cytochromes and blue copper proteins occurs on microsecond to nanosecond timescales. Redox equivalents can be transferred even longer distances by multistep tunneling (hopping) through intervening tyrosines and tryptophans. Notably, we have found that 2- to 3-nm hole hopping through an intervening tryptophan is several orders of magnitude faster than single-step tunneling in a Re-modified Pseudomonas aeruginosa azurin. The lessons we have learned about the control of electron tunneling and hopping are now guiding the design and construction of engineered metalloenzymes for the production of fuels and oxygenated hydrocarbons from sunlight and water. Harry Gray is the Arnold O. Beckman Professor of Chemistry and the Founding Director of the Beckman Institute at the California Institute of Technology. In 1961, after graduate work in inorganic chemistry at Northwestern University and postdoctoral research at the University of Copenhagen, he joined the chemistry faculty at Columbia University, where he investigated the electronic structures and reactions of inorganic complexes. In 1966 he moved to Caltech, where he has been working on problems in inorganic photochemistry and biological inorganic chemistry. He has received the National Medal of Science (1986); the Priestley Medal (1991); the National Academy of Sciences Award in Chemical Sciences (2003); the Wolf Prize in Chemistry (2004); the Welch Award in Chemistry (2009); the Othmer Gold Medal (2013); and 18 honorary doctorates. He is a member of the National Academy of Sciences; the American Philosophical Society; a foreign member of the Royal Society of Great Britain; the Royal Danish Academy; the Royal Swedish Academy of Sciences; and the Accademia Nazionale dei Lincei. I will make an element-by-element journey through the periodic table and identify elements which are essential for human life. However, somewhat similar to Mendeleev’s chemical periodic table in 1869, there are gaps and we do not have enough knowledge to fill them. Are essential elements all coded for by the human genome? In general, codes are not just for elements, but for specific chemical species, for the element, its oxidation state, type and number of coordinated ligands, and the coordination geometry. Human and microbial life are symbiotic. The periodic table of human life might therefore also include elements essential for microorganisms. The periodic table offers potential for novel therapeutic and diagnostic agents based not only on essential elements, but also non-essential elements, and radionuclides. Advances in inorganic drug design require knowledge of mechanism of action, including target sites and metabolism. Temporal speciation of elements in their biological environments at the atomic level is a major challenge, for which new methods are urgently needed. Peter Sadler obtained his BA, MA and DPhil at the University of Oxford. Subsequently he was a Medical Research Council Research Fellow at the University of Cambridge and National Institute for Medical Research. From 1973-96 he was Lecturer, Reader and then Professor at Birkbeck College, University of London, and from 1996-2007 Crum Brown Chair of Chemistry at the University of Edinburgh. In June 2007 he took up a Chair in Chemistry at the University of Warwick. He is a Fellow of the Royal Society of Edinburgh (FRSE) and the Royal Society of London (FRS), a European Research Council Advanced Investigator, and Mok Hing Yiu Distinguished Visiting Professor in Chemistry at the University of Hong Kong. His research interests are centred on the chemistry of metals in medicine. Leroy (Lee) Cronin FRSE was born in the UK in 1973 was appointed to be Regius Professor of Chemistry in Glasgow in 2013 after being a professor (2009 & 2006) and reader in Glasgow since 2002. Between 2000-2002 he was a lecturer at the University of Birmingham. Alexander von Humboldt research fellow (Uni. of Bielefeld); 1997-1999: Research fellow (Uni. of Edinburgh); 1997: Ph.D. Bio-Inorganic Chemistry, Uni. of York; 1994 BSc. Chemistry, First Class, Uni. of York. Prizes include 2015 RSC Tilden Prize, 2013 BP/RSE Hutton Prize, 2012 RSC Corday Morgan, 2011, Election to the Royal Society of Edinburgh in 2009. His research has three main aims 1) the construction of an artificial life form / work out how inorganic chemistry transitioned to biology / searching for new life forms; 2) the digitization of chemistry; and 3) the use of artificial intelligence in chemistry including the construction of ‘wet’ chemical computers. Superconductivity represents a coherent state of paired conduction electrons. Attraction of particles with the same charge seems puzzling, however, chemists are all too familiar with paired electrons, though localised in covalent bonds. We follow the idea that under certain conditions conduction electrons exhibit a tendency towards pairwise localisation through dynamic covalency. Based on a special feature in the normal state electronic band structure, the necessary condition for a metal to become a superconductor is the simultaneous occurrence of flat and steep bands at the Fermi level. This feature occurs with no exception for metals which finally become superconducting at low temperature. However, the sufficient condition at least for conventional superconductors is a strong enough coupling of flat band states to lattice vibrations, phonons. The idea of such a flat band/steep band scenario is tested with actual examples, starting from an element, Te, via the rare earths compounds RE2X2C2, REC2, RE2C2 to MgB2. The latter is particularly suited to illustrate the aspect of dynamic covalency. As a surprise, a peak-like structure of the electron-phonon coupling constant in momentum space with an enormous enhancement for non-commensurate phonon vectors is found. It is interesting to follow the historical evolution of thoughts concerning the phenomenon of superconductivity. Steps of a staircase are marked by Planck, Bose, Einstein, London, and finally Ogg, who discovered the essential role of electron pairs for superconductivity. His sensational report of superconductivity at 190K in quenched solutions of Na in NH3, however, could not be reproduced. It is tempting to perform experiments along the lines of this visionary scientist under more stringent conditions. Preliminary results from an emeritus with administrational freedom are reported. Arndt Simon, 1940 born in Dresden, studied chemistry and in 1972 became professor in Münster. 1973 he accepted the offer as director at the Max Planck Institute for Solid State Research in Stuttgart. Since 2010 he works as Emeritus in the institute. Exploratory chemistry with metal-rich compounds, their structural characterization and understanding of physical properties in terms of chemical bonding is his main interest. Investigations cover quite different regions in Periodic Table, e.g. : alkali metal suboxides, atomic scale void metals and low work function materials – subnitrides of the alkaline earth metals, nano dispersions of a salt in a metal – metal-rich halides of the rare earth metals and the interplay of d and f electrons – cluster chemistry of transition metals and establishment of the condensed cluster concept – search for the chemical basis of superconductivity – apparatus development (Guinier-Simon camera) – topology of intermetallic phases (Pauling-Simon rule). The restoration of historical clocks and watches is another interest using expertise in chemistry, mechanics and computer aided design partly in cooperation with museums. "Tony Cheetham obtained his DPhil at Oxford in 1971 and did post-doctoral work in the Materials Physics Division at Harwell. 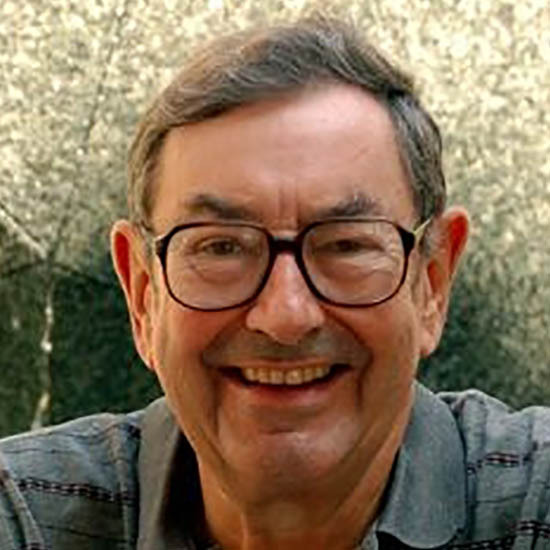 He joined the chemistry faculty at Oxford in 1974, and then moved to the University of California at Santa Barbara in 1991 to become Professor in the Materials Department. In 1992 he took up the Directorship of the new Materials Research Laboratory, which he led for the first 12 years of its existence. He became the Director of the new-created International Center for Materials Research at UCSB in 2004, and then moved to Cambridge in 2007 to become the Goldsmiths’ Professor of Materials Science. Cheetham is a Fellow of the Royal Society (1994), TWAS (1999), the German National Academy of Sciences (2011), and several other academies. 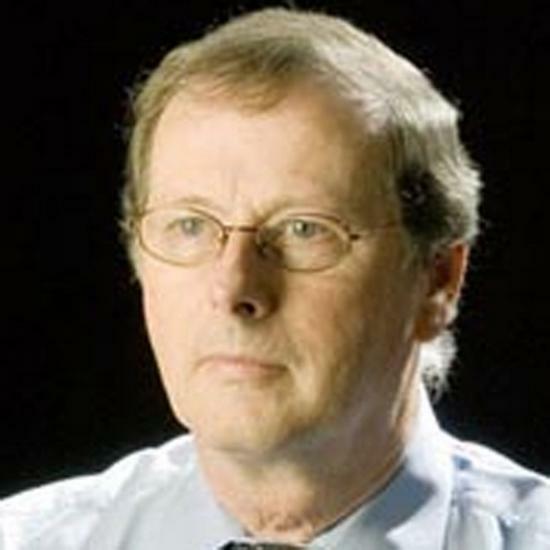 Tony Cheetham has received numerous major awards for his work in the field of inorganic and materials chemistry; these include a Chaire Blaise Pascal, Paris, (1997-9), the Somiya Award of the IUMRS (with CNR Rao, 2004), the Leverhulme Medal of the Royal Society (2008), the Platinum Medal of the IOM3 (2011), the Nyholm Prize from the Royal Society of Chemistry (2012), and honorary doctorates from Versailles (2006), St. Andrews (2011), and Tumkur (2011). He became the Treasurer and Vice-President of the Royal Society at the end of November 2012." Silver is the heavier congener of copper in the Periodic Table, but chemistry of these two elements is very different. While Cu(II) is the most common cationic form of copper, Ag(II) is rare  and its compounds exhibit a broad range of peculiar physicochemical properties. These include, but are not limited to: - uncommon oxidizing properties - unprecedented large mixing of metal and ligand valence orbitals - strong spin-polarization of neighbouring ligands (L), which leads to: - record large magnetic superexchange constants and also - ease of thermal decomposition of its salts as well as - robust Jahn–Teller effect which is preserved even at high pressure. The powerful oxidizing properties of Ag(II) are revealed not only in its behaviour towards inorganic and organic reagents, but also in its capability to oxidize oxo- and even fluoro- ligands from its first coordination sphere. Notably, all oxo-derivatives of Ag(II) are metastable and they decompose exothermally at temperatures not exceeding 120 oC [2,3,4]. Moreover, the formal redox potential of Ag(II) in 30% oleum approaches +2.9 V vs. NHE, the largest value ever measured for a fluorine-free system . The electrochemically generated Ag(II) species are short-lived since they are capable of oxidizing the superacidic solvent . Having in mind that the standard redox potential for the ½ Cl2 / Cl– redox pair is as small as + 1.36 V vs. NHE, it is no surprise that Ag(II)Cl2 has never been prepared. The strong Ag(4d)/L(2p) mixing (where L = F, O, N etc.) is revealed in the XPS spectra [6,7] and confirmed by quantum mechanical calculations. Since Ag(II) is a spin-½ cation, it also transfers spin density to the ligands. Appreciable share of free spin in both metal and ligand valence orbitals results in very large magnetic superexchange constants which may exceed 100 meV , with the possibility of the record value of up to 300 meV for a 1D system . The quest continues for a 2D system with equally strong antiferromagnetic interaction, which could serve as a precursor towards a room-temperature supeerconductor. As all d9 systems, compounds of Ag(II) are susceptible towards Jahn–Teller effect. The JT effect is strong as it usually leads to appreciable elongation (or, rarely, shortening) of the AgL6 octahedron. It also proves to be quite robust as it is preserved at high pressure of up to 30 GPa for Ag(II)SO4 . References  W. Grochala, R. Hoffmann, Angew. Chem. Int. Ed. Engl. 40 (2001) 2742. P. Malinowski et al., Angew. Chem. Int. Ed. Engl. 49 (2010) 1683. P. Malinowski et al., Chem. Eur. J 17 (2011) 10524. P. Malinowski et al., CrystEngComm 13 (2011) 6871. P. Połczyński et al., Chem. Commun. 49 (2013) 7480. W. Grochala, et al., ChemPhysChem 4 (2003) 997. A. Grzelak et al., submitted (2014). D. Kurzydłowski et al., Chem. Commun. 49 (2013) 6262. T. Gilewski et al., in preparation (2014). M. Derzsi et al., CrystEngComm 15 (2013) 192. Wojciech Grochala was born in 1972 in Warsaw, Poland, where he received his MSc, PhD and DSc from the University of Warsaw. Initially a spectroscopist, he felt the magic spell of molecular orbitals during his postdoc with Roald Hoffmann in Ithaca (Cornell, USA) and then fell in love in inorganic and fluorine chemistry while working with Peter P. Edwards (then at Birmingham, UK). Inorganic solid-state chemistry is Wojciech’s real passion. His scientific interests encompass noble gas and transition metal chemistry, superconductivity and vibronic coupling, quantum modeling of solids and molecular materials, hydrogen and energy storage, hydrogen transfer catalysis, applications of high pressures in chemistry, molecular devices, unusual oxidation states of the chemical elements, and more. Since 2005 he heads the Laboratory of Technology of Novel Functional Materials, at the Centre for New Technologies of the University of Warsaw, where he is a full professor. Materials with nanosized spaces, often known as porous materials, are abundant in everyday modern life: they are used for gas storage, separation, and catalysis. Based on a new concept of bottom-up synthesis, we are now able to successfully develop novel porous materials including everything from serendipitous findings to tailor-made synthesis. These are called "porous coordination polymers" (PCPs) or "metal–organic frameworks" (MOFs), which are comprised of organic and inorganic materials. We have developed the functional chemistry of PCPs, discovered flexible porous materials, and created soft porous crystals, unlike anything available via conventional methods. Today several hundred different PCPs are known, and over 2,000 articles on this class of materials are being published annually worldwide. PCPs have great potential in applications for our immediate surroundings as well as a wide variety of fields, such as the global environment, natural resources, development of outer space, life sciences, and energy, demonstrating their extremely high value both for science and for industry. Susumu Kitagawa earned his PhD in 1979 at Kyoto University’. He moved to the chemistry department at Kinki University (1979 -1986), including spending one year (1986–87) at Texas A&M University. From 1992 to 1998 he served as professor of chemistry at Tokyo Metropolitan University, then returning to his alma mater in Kyoto to become professor in the Department of Synthetic Chemistry and Biological Chemistry, where he continues to serve today. He serves as the director of Kyoto University’s Institute for Integrated Cell-Material Sciences (iCeMS) from this year. His main research fields are coordination chemistry, in particular, chemistry of coordination space, and his current research interests are centered on synthesis and properties of porous coordination polymers/metal-organic frameworks. He is a member of Science Council of Japan, a fellow of RSC, and President of Japan Society of Coordination Chemistry. The 20th century is often known as the age of silicon and the 21st century is predicted to be the age of graphene, while the former has undoubtedly benefited our societies and economies, the latter holds a great promise but is yet to find widespread use. Beyond the elements alone there is of course a wider class of materials used in countless industrial, technological and medical applications – the oxides. This talk will focus on a “Periodic Table of Oxides” whose properties vary from insulating to semiconducting to metallic to superconducting, from transparent to absorbing to reflective and from varying types of magnetism to hosting some of the most exotic states discovered at the frontiers of condensed matter science. To highlight the importance of understanding these materials this talk will focus on oxides such as lead dioxide (lead/acid battery) and indium oxide and ITO (flat screen displays). The need to apply state-of-the-art photoelectron spectroscopies in order to fully understand the electronic structure of these technologically vital materials will be highlighted, work performed in collaboration with theoretician colleagues using density functional theory. To finish we will discuss the next generation of spectroscopic techniques – particularly high-pressure photoelectron spectroscopy (HiPPES) – a technique that promises a step-change in the understanding of oxide surfaces. Christina White was born in Athens, Greece. She received a B.A. degree with highest honors in biochemistry from Smith College working with Stuart Rosenfeld. After a one-year stint in the biology graduate program working with Christian Anfinsen, she received her Ph. D. degree from Johns Hopkins University in chemistry with Gary Posner as an ACS Medicinal Chemistry Pre-Doctoral fellow. She was a NIH postdoctoral fellow at Harvard University with Eric Jacobsen from 1999-2002 and is currently a Professor of Chemistry at the University of Illinois at Urbana-Champaign. David Milstein received his Ph.D. degree at the Hebrew University of Jerusalem in 1976 with Prof Blum. He carried out postdoctoral at Colorado State University, where together with his advisor, John Stille, he discovered the Stille Reaction. In 1979 he joined the DuPont Company in Wilmington, Delaware, where he became a Group Leader in the homogeneous catalysis area. In 1987 he accepted a professorial appointment at the Weizmann Institute of Science, where he was Head of the Department of Organic Chemistry in 1996-2005. In 2000 he became Head of the Kimmel Center for Molecular Design. He is the Israel Matz Professor of Organic Chemistry since 1996. His research interests focus on the development of fundamental organometallic chemistry, particularly the activation of strong bonds, and its application to the design and implementation of new environmentally benign processes catalyzed by transition metal complexes. Andrew Weller is a Professor of Chemistry at the University of Oxford and a Fellow of Magdalen College. He moved to Oxford in 2007, after starting his independent career at Bath in 1999 as a Royal Society University Research Fellow. Research in the Weller group is based upon synthetic organometallic chemistry, and in particular the generation and stabilization of “operationally unsaturated” late–transition metal complexes with a low coordination number. He made contributions to topics related to synthesis and catalysis; C-H, B-H and C-C sigma complexes and subsequent activation; the development of active, selective and robust catalysts for the hydroacylation reaction; the synthesis of new B–N containing materials via catalysis; and the self-assembly of metal fragments to form novel clusters that themselves are unsaturated and show promise as models for hydrogen on metal surfaces. Weller was the recipient of the 2008 Dalton Transactions European Lectureship and is currently a Peter Wall Visiting Scholar UBC, Canada. The utilization of CO2 as a feedstock for producing chemicals is an interesting challenge to explore new concepts and new opportunities for catalysis and industrial chemistry. It is an excellent possibility to inject renewable energy in the energy and chemical production chains, but a major current hurdle for a large-scale use is the need to further improve production routes for renewable H2 by improving electrocatalysts and device technology in current electrolyzers. However, when cheap electrical energy from renewable sources is available, the use of CO2 could be already economic. In the organic synthesis and polymer chemistry, new routes for activating CO2 and produce valuable chemicals and/or materials are being developed. Electrocatalysis is also offering new possibilities, either to produce small organic molecules (fuels) to be used in conjunction or integrated with solar devices (for artificial leaf type systems), or as a valuable synthetic procedure. The main relevant aspects of these routes are summarized to present the status and outlooks, as well as the strategies, for carbon dioxide (re)use. Gabriele Centi is full professor of Industrial Chemistry at the University of Messina, Italy, and President of the European Research Institute of Catalysis (ERIC). Research interests are in the areas of applied heterogeneous catalysis, sustainable energy and chemical processes, and environment protection, including the reduction of greenhouse gas emissions by catalytic technologies. He was coordinator of the EU Network of Excellence IDECAT and a former President of the European Federation of Catalysis Societies (EFCATS). He is actually vice-President of the International Association of Catalysis Societies (IACS). He received various awards, the last the Frontiers Award of the MPI/MPG for Chemical Energy Conversion. He is Chair of editorial board of Wiley-VCH journal ChemSusChem, Chief Editor of the Book Series Studies in Surface Science and Catalysis (Elsevier) and Green Energy (De Gruyter). He is author of over 300 scientific publications and various books, the last being Green Carbon Oxide. Peter P Edwards is Professor and Head of Inorganic Chemistry at the University of Oxford. His research interests include metal-insulator transitions, high temperature superconductivity, metals in non-aqueous solvents, small metallic particles and energy materials, with a particular emphasis on new-generation, high-performance materials for hydrogen production and storage, CO2 activation and utilisation, inorganic semiconductor thin films for solar energy applications and advanced catalytic materials. 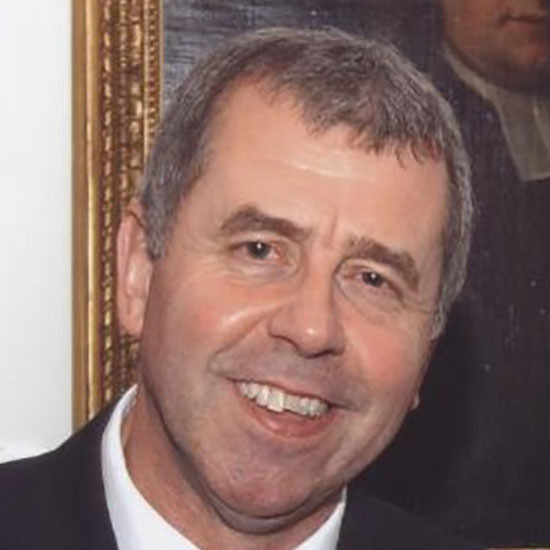 Following BSc and PhD degrees at Salford University, Edwards spent periods at Cornell (Fulbright Scholar and National Science Foundation Fellow)), Cambridge (Lecturer and Director of Studies in Chemistry, Jesus College), Birmingham (Professor of Chemistry, and of Materials), before assuming his present position at Oxford in 2003. He was elected Fellow of the Royal Society in 1996 and to the German Academy of Sciences in 2009. He has been the recipient of the Corday-Morgan, Tilden and Liversidge Medals of the Royal Society of Chemistry, and the Hughes Medal of the Royal Society. In 2012 he is to present The Bakerian Prize Lecture of the Royal Society; the Society’s premier lecture in the physical sciences. "Matthew Rosseinsky obtained a degree in Chemistry from the University of Oxford and a D Phil under the supervision of Professor P Day, FRS in 1990. He was a Postdoctoral Member of Technical Staff at AT &T Bell Laboratories in Murray Hill, New Jersey where his work with D W Murphy, A F Hebard and R C Haddon led to the discovery of superconductivity in alkali metal fullerides. In 1992, he was appointed University Lecturer at the Inorganic Chemistry Laboratory, University of Oxford, where he remained until 1999 when he moved to the University of Liverpool as Professor of Inorganic Chemistry. He was awarded the inaugural de Gennes Prize for Materials Chemistry (a lifetime award for achievement in this research area open to all scientists internationally) by the Royal Society of Chemistry in 2009 and the CNR Rao Award of the Chemical Research Society of India in 2010. He was elected a Fellow of the Royal Society in 2008, and was awarded the Hughes Medal of the Royal Society in 2011. His work addresses the synthesis of new functional materials for energy and information storage applications, and has been characterised by extensive collaboration with many academic and industrial colleagues."